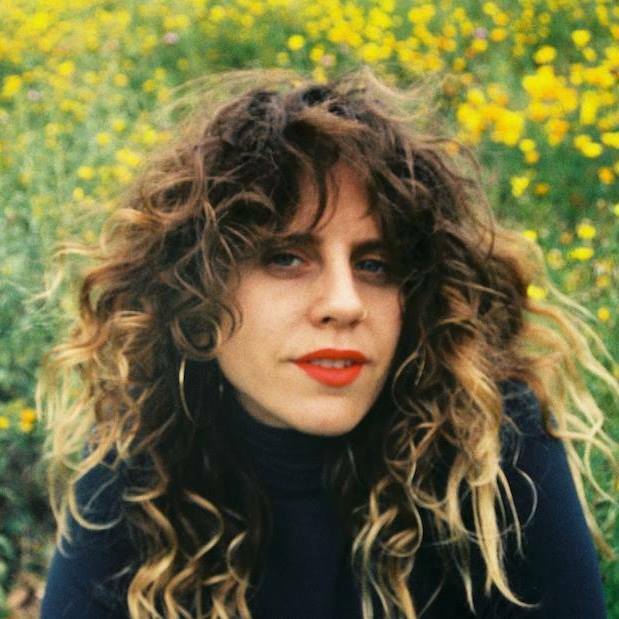 Soul/R&B singer Doe Paoro throws party at Dirty Laundry for new album "After"
Brooklyn singer Sonia Kreitzer, formerly of Sonia's Party, has recently moved to her new home in Los Angeles as Doe Paoro, her soul/R&B alter ego. It's cause for celebration — Paoro has a new album that's about to be released, and LA locals get an exclusive chance to hear it live first. After (out September 25th via ANTI- Records) has been a three-year effort with producers Just Vernon (Bon Iver) and BJ Burton, a definite maturation of Paoro's cabin-fevered opus, the sublime debut Slow to Love. Torch songs like the latest single "Nostalgia" embroiders synthwave textures with candid, disconsolate lyrics. With a voice that's been compared to Lykke Li, Zola Jesus, and James Blake, Paoro connects memorable pop hooks to deeper musings on seasonality and the cyclical nature of time. "The record is a meditation on time, and its illusions — the way each ending is simultaneously a beginning; its ability to speed up, drag or stand still; contract or expand a moment — and the only awareness of what it had been coming retrospectively, or After." 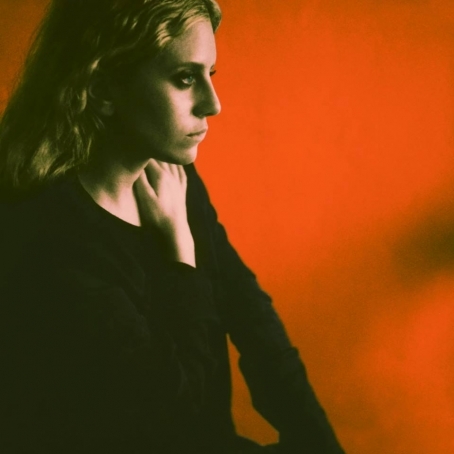 We are big fans of Doe Paoro's dark and tastefully tortuous alt-soul. The intriguing Brooklyn artists just unveiled a new rather morbid video for her song 'New Lows,' recently released as a 7" on White Iris. See her live at The Standard in NYC on June 19. COMPILATION OF ALL 14 BANDS HERE. Early that evening we'll have the noir chamber pop of Friend Roulette , In One Wind's orchestrated experimentations, and DT Rotbot intricate post-rock. Later at night we'll be enterteined by the cinematic and atmospheric music of Industries of the Blind followed by cheerful Philadelphia based collective Dangerous Ponies. (in the picture, Cuddle Magic and You Bred Raptors). Doe Paoro got a lot of coverage in The Deli as of late - that's what happens when a local artist makes music that's personal and endearing. 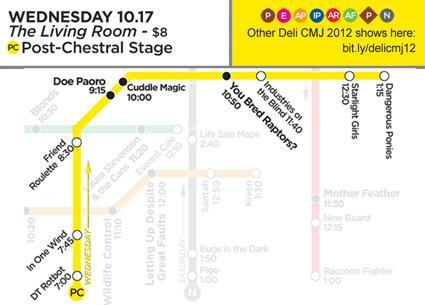 The exotic sounding songwriter will be co-headlining The Deli's Post-Rock/Orchestral Stage at The Living Room on October 17 - even though she doesn't exactly fit either genre. Check out her latest video for the single "Body Games" below.